ingev | “Syrian Refugees’ Access to Higher Education” HOPES Seminars Go On! 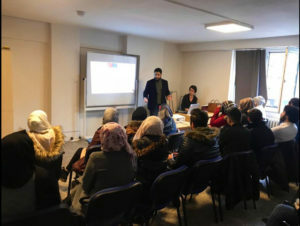 “Syrian Refugees’ Access to Higher Education” HOPES Seminars Go On! 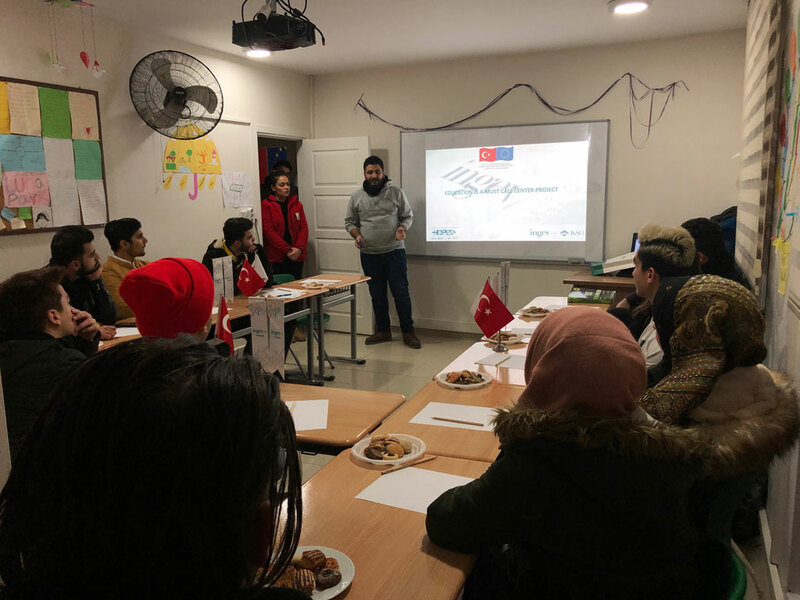 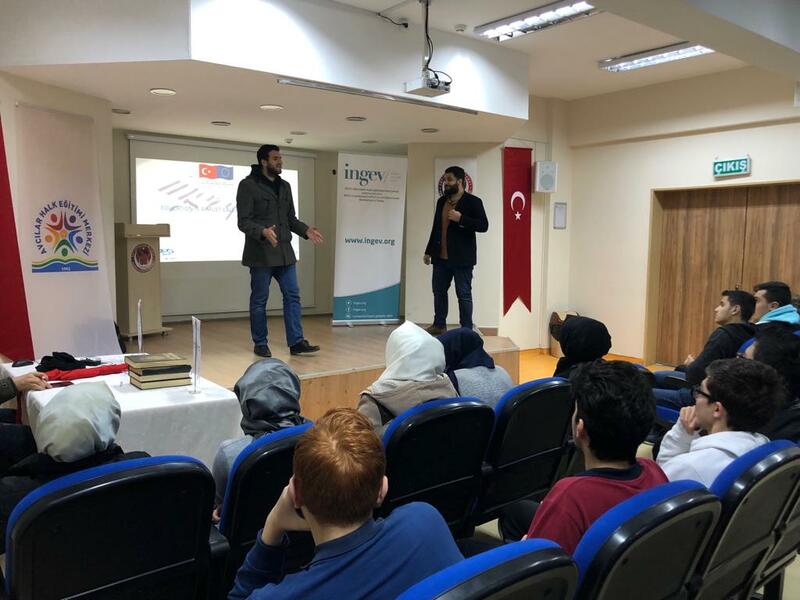 As INGEV, we are approaching to the end of HOPES project, conducted with BAUMUS (Bahçeşehir University Urban and Refugee Research Centre) with the support of EU MADAD Fund. 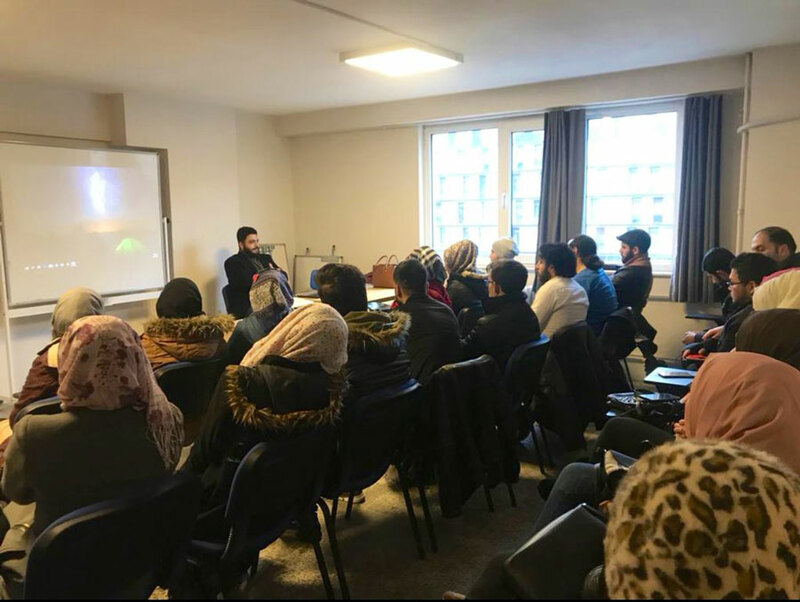 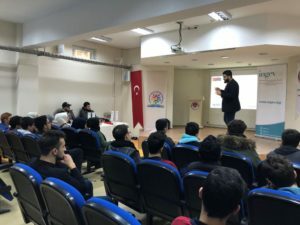 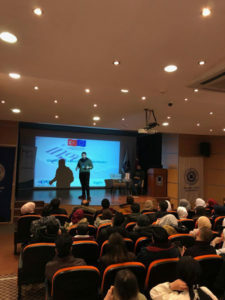 Seminars on the Access of Syrian Refugees to Higher Education continue in cooperation with, SGDD-ASAM, Istanbul Aydın University, TOMER, Avcılar People’s Education Center, Kızılay Bağcılar Community Center. To the seminars held as a part of “Education is a Must” Call Center Project, young Syrian students have participated. 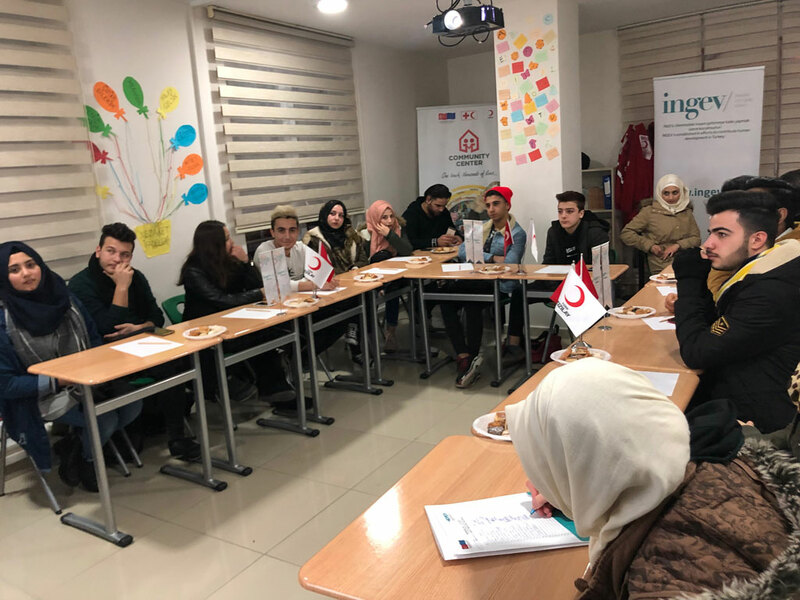 During these meetings, the barriers on the schooling of refugees and university entrance and the potential solutions were discussed. 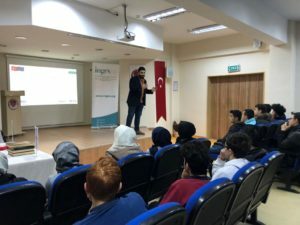 BAUMUS director, Ulaş Sunata, has given a speech on involving the Syrian youth in the wider and more competitive higher education system, and the importance of comprehensive education. 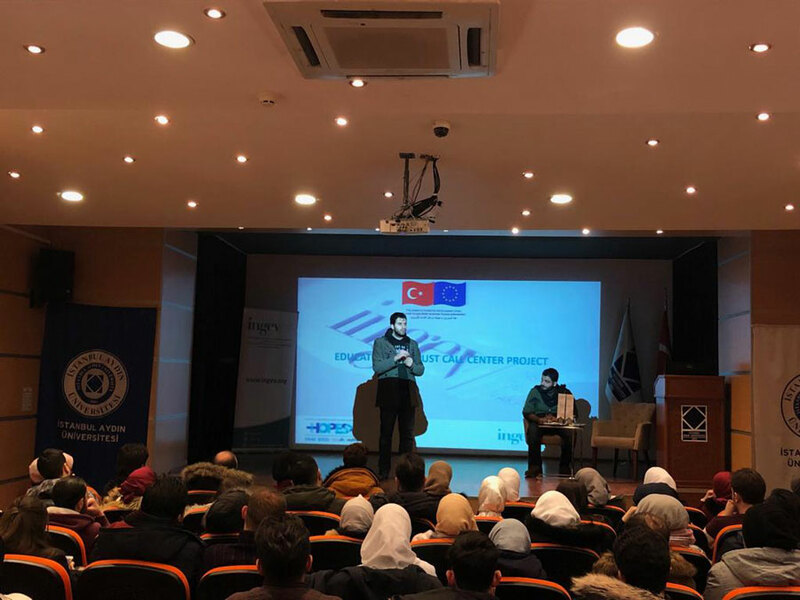 INGEV President Vural Çakır Made “Syrians in Turkey” Presentation at IPC-Mercator... “Entrepreneurship Information Meetings” Move Ahead!